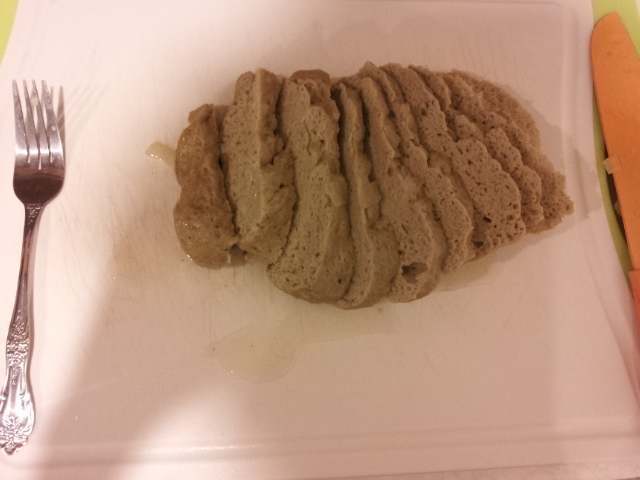 I figured I would link to a recipe with pictures, considering making your own seitan can be a challenge. A good outcome is worth a challenge sometimes, though. It will always be easier after you make it one time and get the general confusion out of the way. 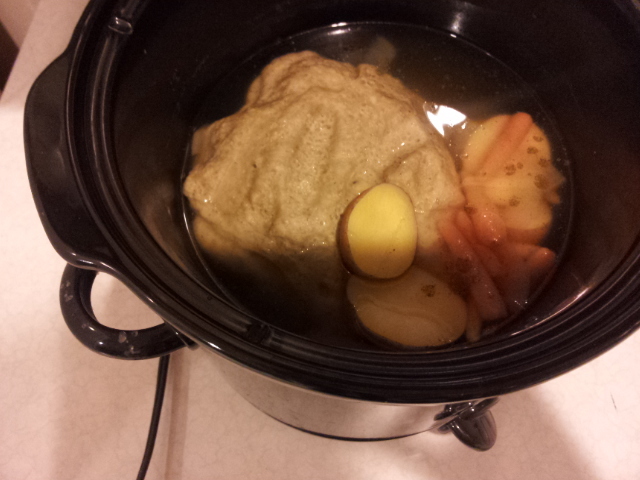 Once I made the seitan ball, I threw in some potatoes, carrots and onion along with it into my slow cooker with some water and vegetable broth. 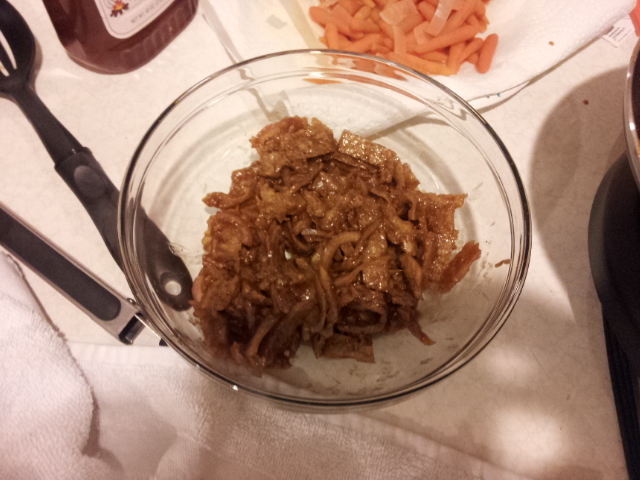 It was done in a couple of hours, and it floated to the top when it was fully cooked. 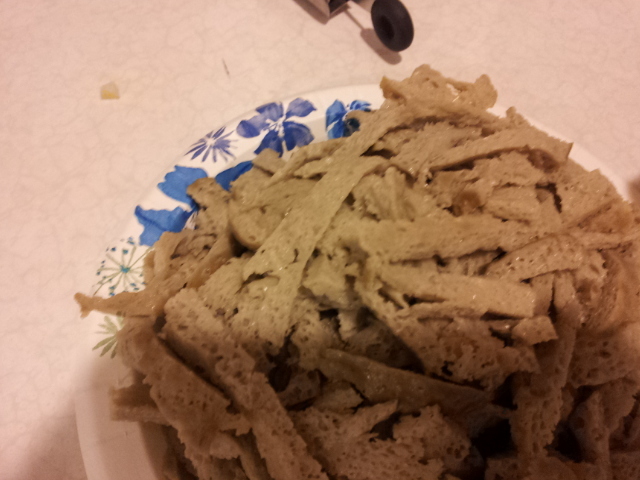 Then, I let it drain a little before I cut it into really thin, confetti like strips. 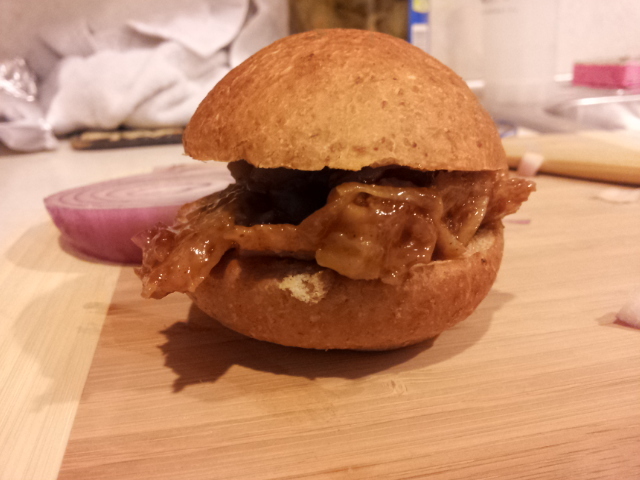 Lastly, I cooked it on the stove with some BBQ sauce and onions, then put it on my slider buns. 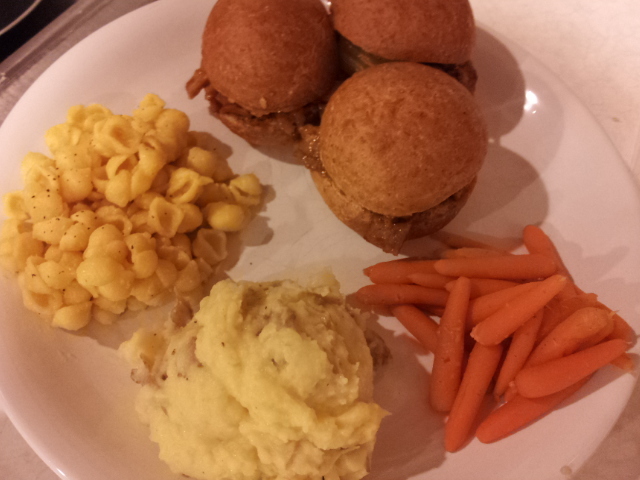 I used the potatoes to make mashed potatoes, and the carrots as a side dish. I also made some little mac shells to go along. The meal turned out totally awesome and I hope to make it again soon.